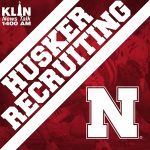 7:00 a.m. - 11:00 a.m.
Noa Pola-Gates, a safety from Williams Field High School in Arizona, announced during the Polynesian Bowl in Hawaii that he would be attending Nebraska in 2019. Pola-Gates signed his Letter of Intent back on December 19th, but wanted to wait until the Polynesian Bowl to make his decision public. His senior season, Pola-Gates led his team to an 11-2 overall record and an Arizona class 5A semifinal appearance. The 5-foot-11 prospect recorded 57 tackles and seven pass break ups. The four star recruit also garnered 743 all-purpose yards in 2018. Family was a big factor for Pola-Gates decision. He told Rivals that his mother, who is in the mortgage business, works for a company that has a branch in Lincoln. His sister, Keana Pola, has signed to play for the Nebraska softball team in 2019. Also, he is the nephew of former Pittsburgh Steeler, Troy Polamalu.